Horsham has a fantastic range of restaurants with East Street being a magnet to local diners. Horsham is home to firm favourites such as Ask, Pizza Express, Wagamama and Cote. Some of these are housed in Horshams historical buildings and Bills is a good example of this being located in the old Town Hall. There are plenty of fine Oriental and Indian restaurants, some of our favourites being the River Kwai Thia in Market Square, the New Curry Centre in London Road, the China Brasserie (sitting next to the favourite Black Jug Pub) and the Lemongrass Thai. 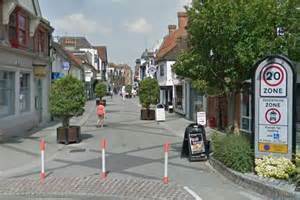 Horsham is also home to a great selection of coffee shops with a popular Costa Coffee, Cafe Nero and Pret as well as some locally run coffee houses. Some offer outdoor seating for those warmer days. Click on the link below for more restaurants and information.